My Families Best Yellow Rice And Chicken! 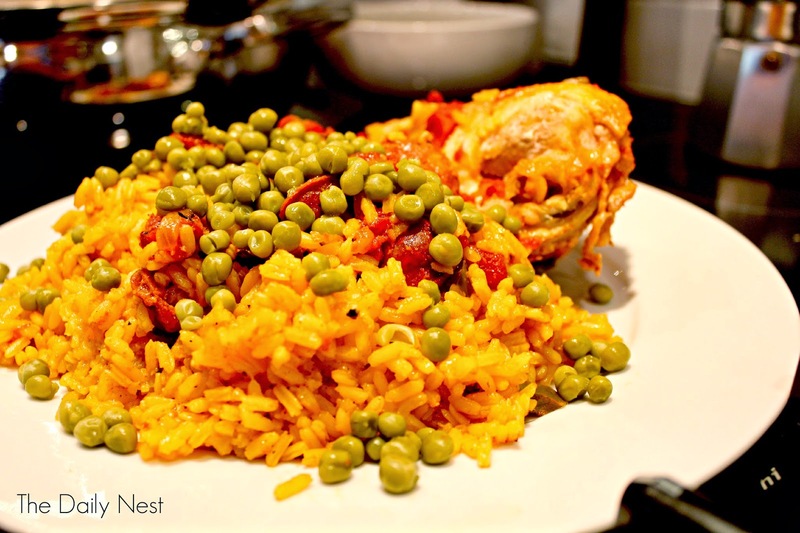 The Daily Nest: My Families Best Yellow Rice And Chicken! My Families Best Yellow Rice And Chicken! Now I don't mean to brag. But, my family makes the most delicious Yellow Rice And Chicken in the world! Can I say that? Well, I did! This dish has been around our dinner table for years, and here's the proof! 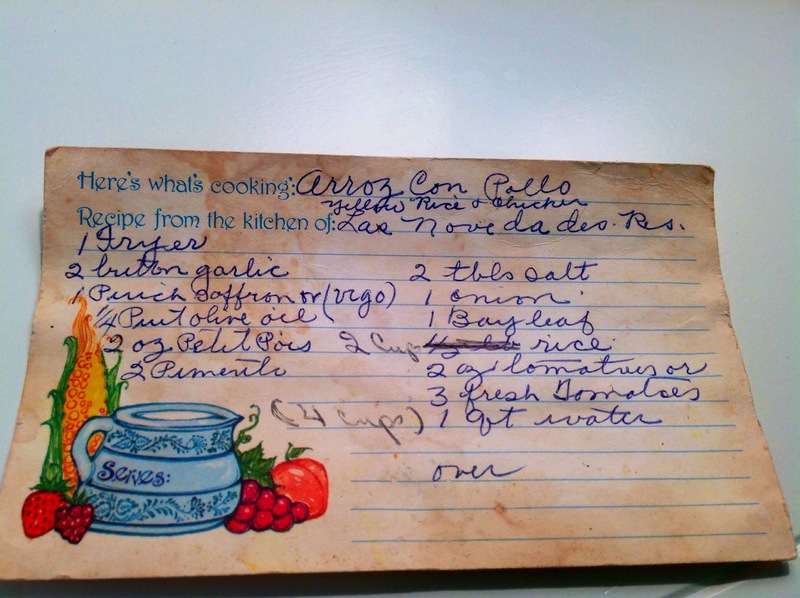 This is my Grandma's original recipe written in her handwriting (This is what I cherish the most, that it's in her handwriting) for Arroz Con Pollo, Chicken and Yellow Rice! Don't worry you're not going to have to follow this for the recipe! Now as you can see it has all the markings of a great recipe...stains! That's when you know a recipe has been used hundreds of times, the mark of excellence!! The original recipe came from a Tampa restaurant Las Novedades. Las Novedades Spanish restaurant had its beginning in 1890 when Manuel (Canuto) Menendez opened the first Spanish restaurant in what is now known as Ybor City. Originally it was a great competitor to the world renowned Columbia Restaurant. And here are the real deal pictures! This recipe is also easy, but makes a beautiful presentation for guests. Who think you slaved over the stove for hours! Now there are two (2) things I need to point out. 1.) I only... only use Uncle Ben's Long Grain white rice! No other brand, because other (cheaper brands) of rice make it too gummy and mushy. Not a good look! They're only showing that they carry the saffron though. If you would like to read a previous post about my Grandma (Memaw) you can read about her here. I hope you'll try this recipe for your family one night, because I know it will become a family favorite! Add rice. Stirring to distribute evenly in casserole. 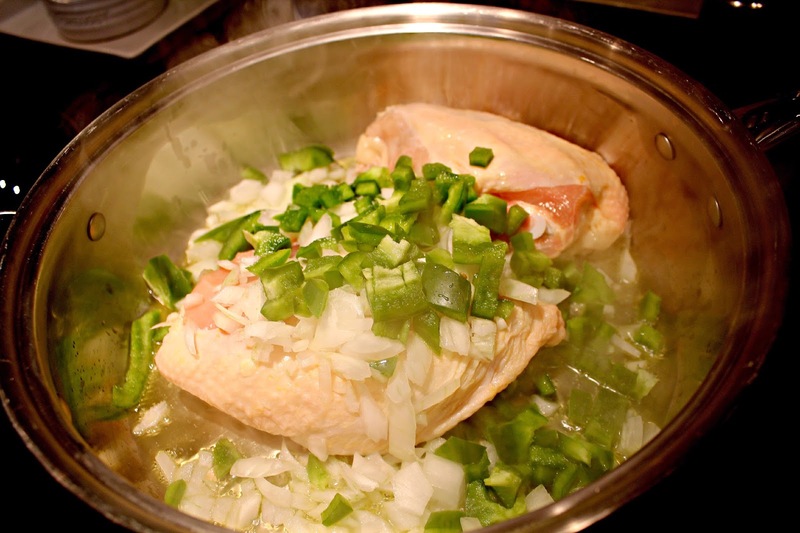 Cover and cook for 20-30 minutes or until water is absorbed, at 350. Garnish with peas and pimento! 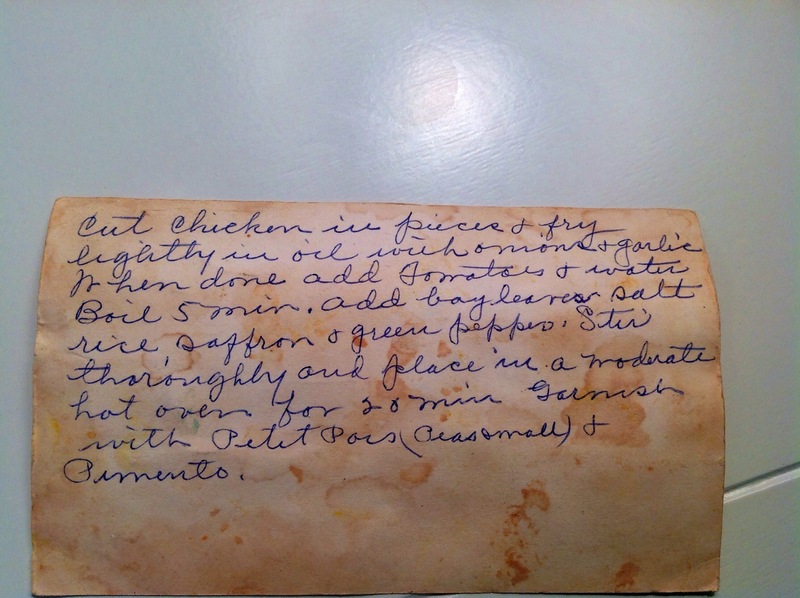 The recipe has been modified through the years, but I guarantee you'll LOVE IT! Also, the amounts can be doubled for company!